Women are amazing people. We are graced with the role of giving birth, and we tirelessly care for our families and friends. Our only limitation is that there are only 24 hours in a day. As women, we weather many changes in our lives. From childhood, to becoming a woman, to giving birth, all while experiencing great joy and profound loss and everything in between, while nurturing those around us with the maternal qualities with which only women are bestowed. It isn’t always easy and throughout our lives, we need help with our own emotional and physical changes. It’s too easy to neglect ourselves during these times and, as a result, we can become unbalanced physically and emotionally, making our important roles that much more challenging. 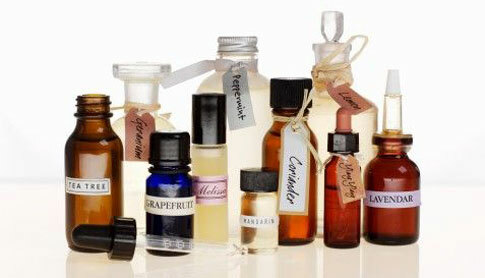 Aromatherapy has proven to be a tremendous help in helping us balance our lives and ourselves. Menstruation is a part of every woman’s life. It is a gift, but there are times when it feels more like a curse. Dysmenorrhea, or painful menstruation, can be debilitating for some women. There are many medications sold, prescribed and over-the-counter, such as analgesics, sedatives, antispasmodics, prostaglandin inhibitors, and some even resort to medication to stop ovulation, all of which can have negative side effects. Essential oils, however, can provide significant relief in the pain of menstruation, with their anti-inflammatory and antispasmodic properties. Essential oils that are used to treat dysmenorrhea are lavender, marjoram, Melissa, geranium, ginger, chamomile, rosemary, clary sage and sage. A few drops applied as a poultice applied to the painful area can work wonders. A few drops in a warm bath can ease the discomfort as well. Midwives have used aromatherapy to help women during childbirth for hundreds of years. When nauseous, which is common during labor, a woman can be given peppermint to inhale, known for its stomach settling properties. Frankincense and lavender in a diffuser are invaluable in helping calm a woman’s nerves and slow her breathing. Essential oils are effective in calming the tendency to panic when pain becomes particularly intense. Other essential oils used during labor include bergamot, jasmine and grapefruit. A little applied to a footbath or a few drops in a massage oil work very effectively to reduce anxiety and fear associated with the pain of labor. Menopause symptoms are caused by changes in the endocrine system’s production of hormones. The production of Estrogen and progesterone can become unbalanced and essential oils can work with a woman’s body to ease some of the resulting symptoms. Inhaling the essential oils, using various methods including adding a few drops to a diffuser, in a massage oil or in a bath. Some effective Essential oils used to ease the symptoms of menopause are ylang-ylang and lavender for anxiety orange and peppermint to relieve hot flashes; Spanish sage, Clary sage and fennel which have similar properties to estrogen to aid in the balance of hormones. We experience many things in our lives, including love, loss, sadness and joy. As women we have the ability to triumph over most all obstacles and difficulties. Sometimes, though, it’s nice to have some help. Aromatherapy provides balance, inducing harmony and peace in a sometimes chaotic and dissonant world.